This article was submitted by Roger Willis, President, Amiens History Association, March 2018. We purchased land at Amiens 19 years ago unaware of its history. Initially we had Lot 68, a bush block suitable for weekend camping and later we acquired the adjacent Lot 64 which was an old farm. In conversations with neighbours and during our own explorations we progressively educated ourselves about the history of Amiens as the headquarters of the Pikedale Soldiers’ Settlement. The Harslett family was a particularly good source of information, Jean Harslett in particular. Mention was made of the State Training Farm but even Jean was vague about its precise location. By this time I had discovered the resources of the Queensland State Archives and one of the questions I was keen to answer was just exactly where was the State Farm? The search process is good but it was serendipity that provided the “light bulb” moment for me. 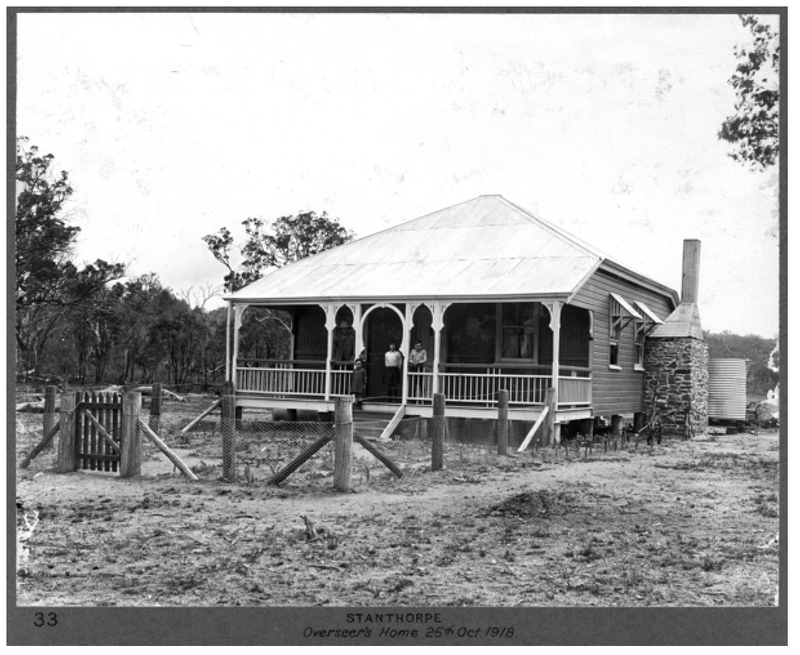 I stumbled on a photograph album with images of various WWI soldier settlements in Queensland, including Pikedale. The black and white images were of very high quality and at the back of the album there were three images taken as a panorama of the State Farm at Pikedale. A portion of this composite image is reproduced below. The images of the State Farm that I had already from Jean Harslett showed rows of fruit trees with some fences but it could have been anywhere in the district. 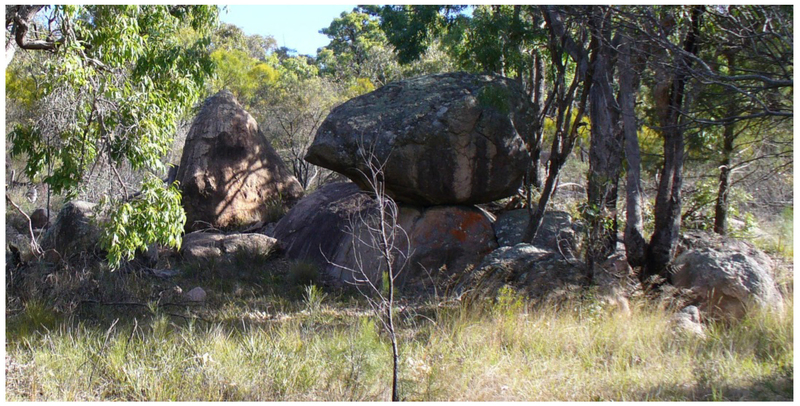 However, QSA Item 435647 had something extra – rocks, not surprising on the Granite Belt. One had a characteristic beak on its left side that looked familiar. Enlargement of beaked rock to the right of centre in QSA, Digital Image ID 2661 above. A stroll in our paddock on Lot 64 revealed the same rock cluster as in the old photograph. 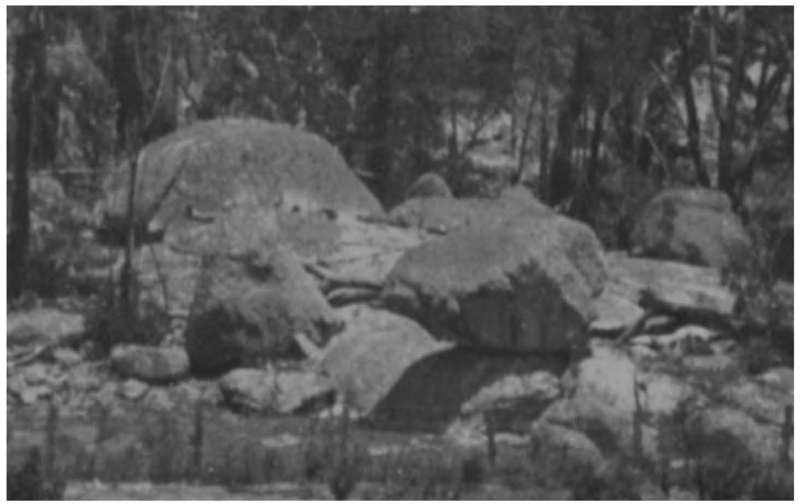 Note the beaked rock and the pyramid rock are unchanged, but the large round rock behind the pyramid is mysteriously missing. Presumably moved or exploded to make a forestry road which runs behind. With the wind in my sails, I quickly found another part of the story on a railway map of the Cottonvale to Amiens branch line. 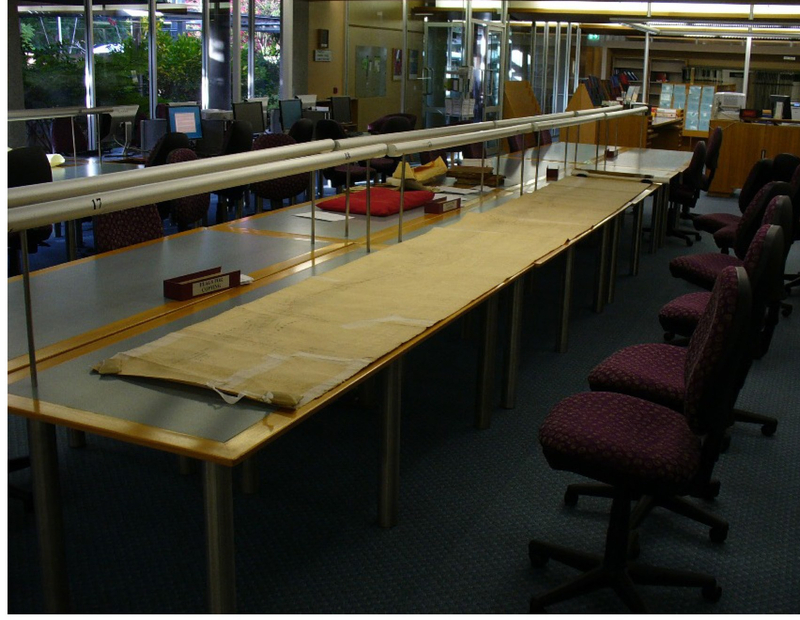 To my surprise, the railway map was almost the length of the reading room, and was very detailed. It showed Lot 64 as the State Orchard. Double bingo! 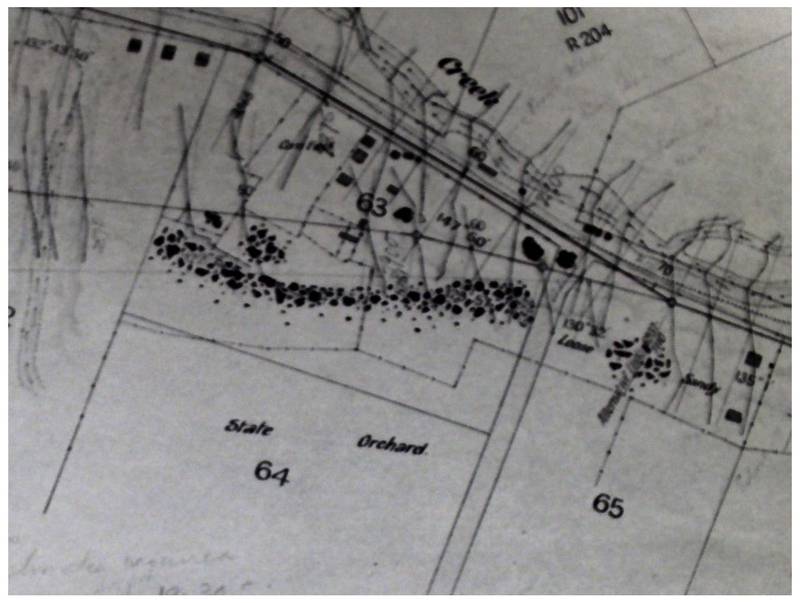 The map also shows Lots 63 and 65 as being the other portions of the farm where the farm buildings were located together with fenced fields for animals and crops. A loose end is the precise location of the Overseers house, seen in another image from the album. Once again, thanks for adding us Chris. WOW, great researching. Sometimes all it takes is to step back and have a wider view of what you are searching for. Thanks Jackqueline, we’re glad you enjoyed the story.